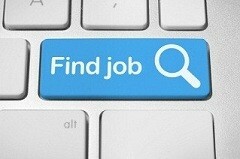 For job seekers looking for a new job or a better job, getting started in your job search can be overwhelming. What should you do first? Most job seekers just jump right in to the Help Wanted Ads in their local newspaper and then become frustrated with their job search when they don’t find suitable employment right away. There is definitely a process that must be followed to get the right job in a timely manner. If you are having trouble with your job search, use the following checklist to help you get started. *Resume: Before you can even begin applying to jobs, you must have an updated, clean and concise resume. If you don’t already have one, start from scratch. There are many ways you can create a resume. 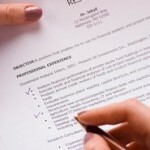 It is best to have a general resume that is relevant to any job you might apply for. Then you can tweak it and make it more specialized if you really want to stand out in a particular field. Whether you are creating a resume or just polishing up your existing resume, it’s best to seek the services of a professional such as a skilled resume writer that knows what prospective employers are looking for and can help you meet those objectives. *Interview Skills: Everyone can benefit from improved interview skills. 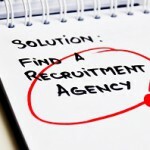 An employment agency can assist you with this during your job search. They’ll help you with answers to common interview questions and help you brush up on your interview skills so you won’t be as nervous during an actual job interview. * Job Search: Once you make yourself ready for the interview and hiring process, it’s time to begin looking for the right position. Seek the services of a local employment agency in your community to help you in your job search. You can also search the job listings on GoGetterCareers.com by utilizing our job search engines to find a job that is right for you. We keep our site updated with the most current job listings so you don’t have to search through many different sources to gather information on new job listings. We do the leg work for you during your job search. * Application Process: Once you find a job, it’s time to submit your resume and application package. Don’t forget the cover letter and a thank you letter after you interview with the company – in the excitement many job seekers forget these seemingly small details, but they can be huge in the employer’s decision-making process. With GoGetterCareers.com, you can upload your resume to your profile and apply to jobs here on our site with just a few clicks. Finding that perfect job has never been easier. Many people are confused about the benefits of employment agencies in their job search. We will lay out a plan for you to follow, and we’ll be with you every step of the way to help ease the burden of seeking and securing better employment. 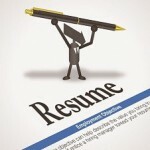 GoGetterCareers.com knows that finding a job today can be a competitive and difficult process. That’s why we are dedicated in assisting your with your job search. We have a whole Career Center that was created with you the Job Seeker in mind. Our Career Center consists of Interview Prep Material, career profiles, employment videos and more. Check out our affiliate programs that enable us to connect Job Seekers with Interviewing Coaching Services, and Resume Writing services. These services will further prepare you for success with your job search! GoGetterCareers wants you to succeed in your job search and we are determined to assist you with this effort. If you’re in the market for a new job — either part time or full — now is the time to write an action list. Thank you so much for bringing this to our attention. This is a good artile post with a lot of information, great content! Thank you a lot for giving everyone an exceptionally spectacular opportunity to read in detail from this website. It can be so pleasing and as well , jam-packed with amusement for me and my office peers to search your blog on the least thrice weekly to read the fresh secrets you will have. Of course, I’m always impressed with the great guidelines you give. Selected two tips in this article are surely the finest we have all had. Hello! kakcgde interesting kakcgde site! I’m really like it! Very, very kakcgde good! Hello! kdedced interesting kdedced site! I’m really like it! Very, very kdedced good!